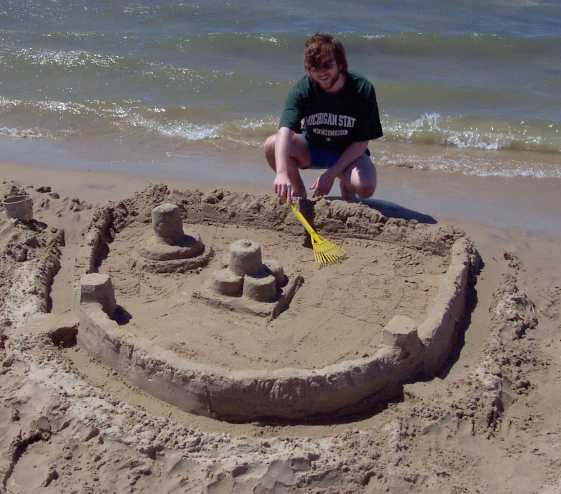 On my vacation at my friend Tim's grandmother's house on Lake Huron, Tim and I went to the beach and built sand castles a few times. We took photos of them, and here are the best ones. 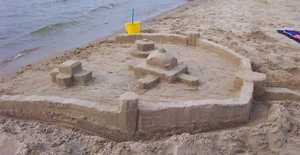 Our first sand castle. We only went back and got the camera as an afterthought. 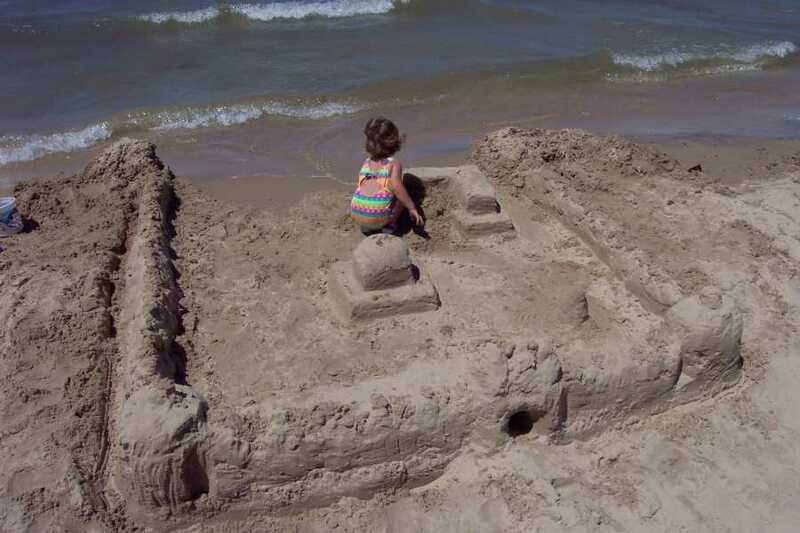 By the time we got back, it was already a bit beaten up by wind and water, and the little girl pictured had started playing in it. The second sand castle. For this one we actually had some tools: a small plastic shovel and hoe, and a couple of plastic buckets. The third sand castle. We did this one a day later with Tim's girlfriend Laura watching. She wasn't too happy to wait but we took our time and did a good job anyway.